If 4+2=26, 8+1=79 and 6+5=111. Then, what is 7+3? 410.4+2=26 is because 4-2=2 and 4+2=6,so it is 26. Therefore, 7-3=4 and 7+3=10(410). 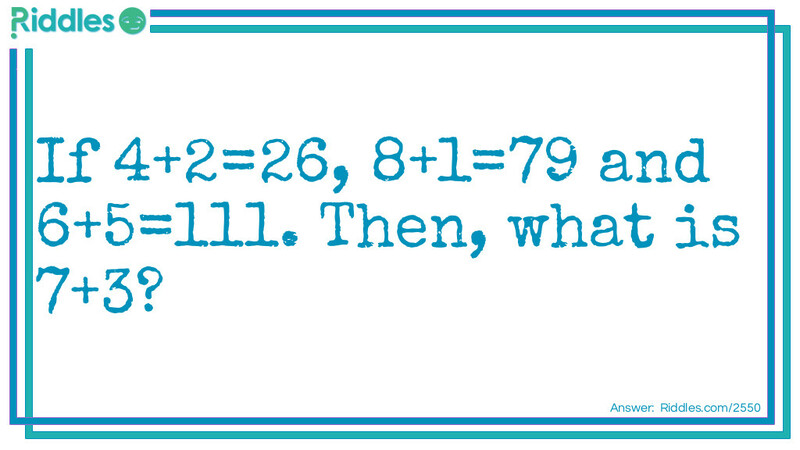 Expert level Mathematics Riddle Meme with riddle and answer page link.